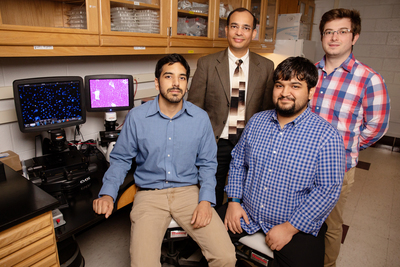 Biochemistry professor Auinash Kalsotra, second from left, and his team, including, from left, graduate students Waqar Arif, Joseph Seimetz and Sushant Bangru, uncovered the molecular underpinnings of liver regeneration. 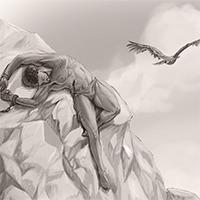 The Greek hero Prometheus was punished by being lashed to a rock and having his liver eaten each day by an eagle, a myth that hints at the extraordinary regenerative powers of the human liver. 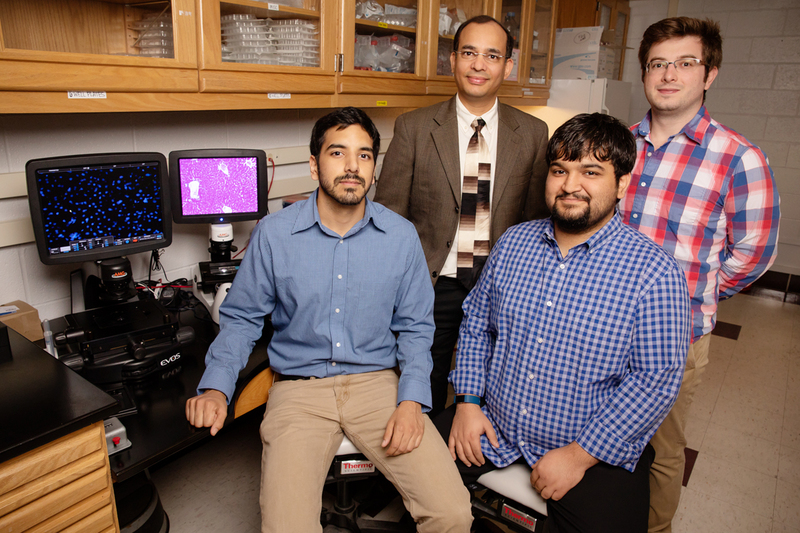 A new study offers insight into how RNA splicing generates alternate forms of the “Hippo signaling pathway” to promote liver regeneration. CHAMPAIGN, Ill. — In Greek mythology, Zeus punishes the trickster Prometheus by chaining him to a rock and sending an eagle to eat a portion of his liver every day, in perpetuity. 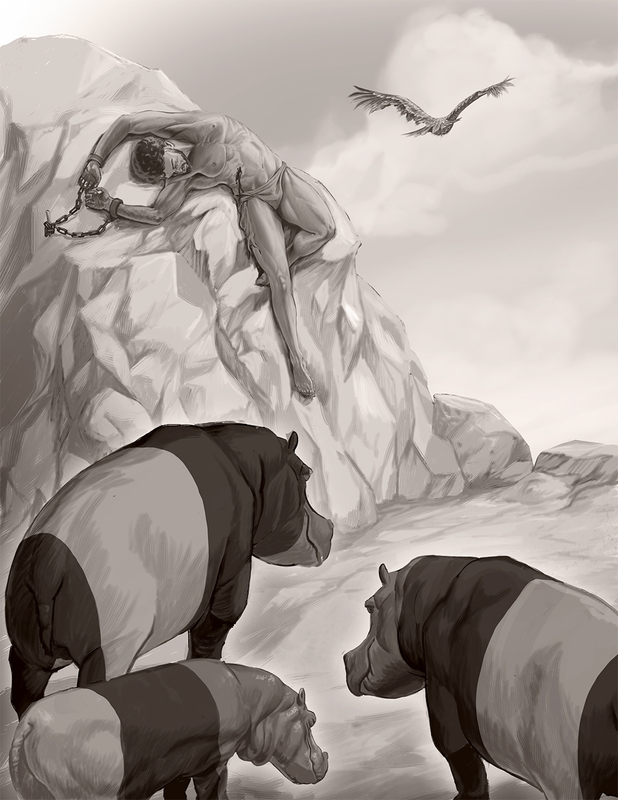 It was the right organ to target – the liver has the ability to regenerate itself, though not overnight nor for eternity. The paper “Alternative splicing rewires Hippo signaling pathway in hepatocytes to promote liver regeneration” is available online and from the U. of I. News Bureau.